Since a young age I have been fascinated by the majestic beauty of mountains, of the peaks that poke through the clouds reaching ever higher into a deep blue sky. 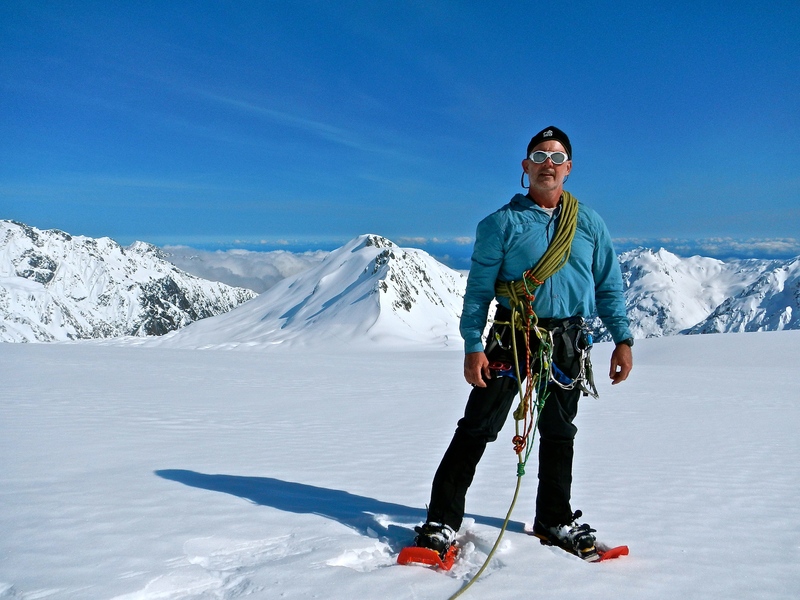 Growing up in Australia has had mountaineering limitations given our highest is Mt Kosciuszko, a mere 2,228 metres high. Three years ago I commenced training designed to assist and enable me to contemplate climbing an 8,000 metre peak in the Himalayan Mountain Range. The mountain of choice Cho Oyu borders Tibet and Nepal and is the world’s sixth highest mountain peak and possibly the most accessible of the world’s fourteen 8,000 metre peaks. The fun is in the journey, right? I have had some great times developing my rope skills climbing in the Blue Mountains not far from Sydney as well as undertaking an extreme fitness regime. And talk about a good laugh here and there, strewth, I can’t even tie my shoelaces properly (it’s a long story) but here I am tying myself off on vertical rock-faces! Unfortunately injuries over the past year or more proved to be a significant setback and at times had me questioning whether I should continue! But the injuries are now behind me and a solid fitness regime is under way to get me on track! And crikey, the “rat” is gnawing away and it needs to be fed – that’s a good sign, for me anyway, as Janet rolls her eyes with a wry smile breaking through ever so slyly. 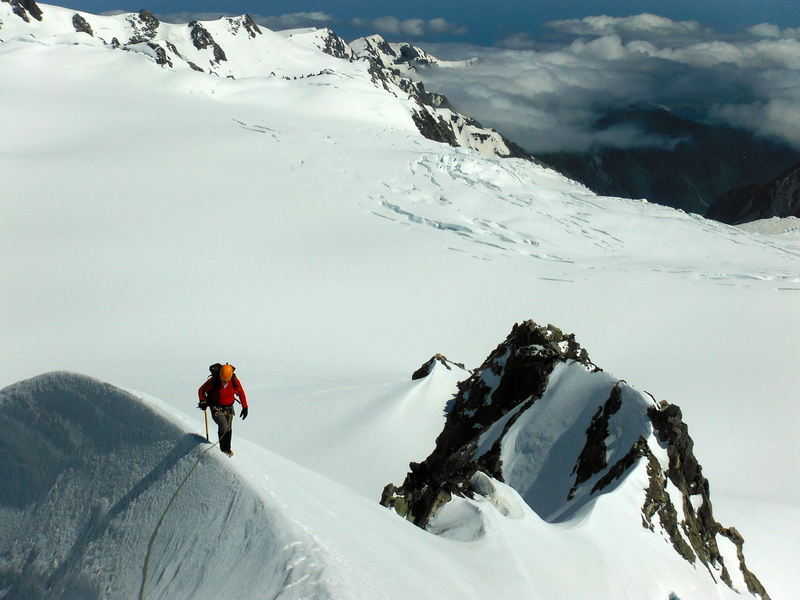 And how good is New Zealand’s Southern Alps playground – truly a mountaineer’s playground. 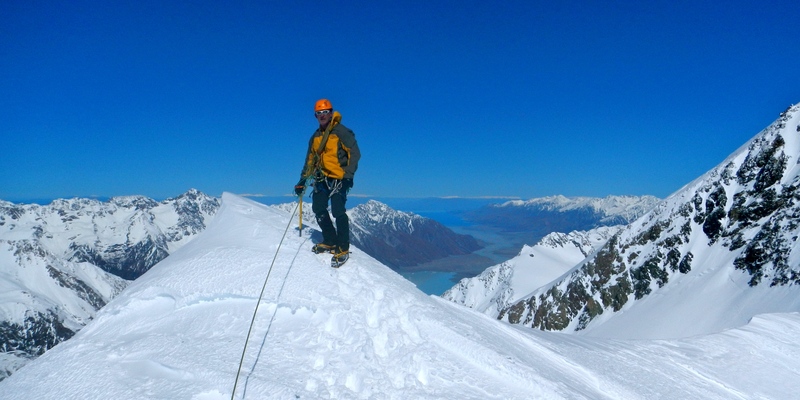 After a reasonably steep multi-pitch climb I crossed this snow covered Arête in the cover photo on the way to the summit of Auroa. So, one step at a time, let’s do this together! 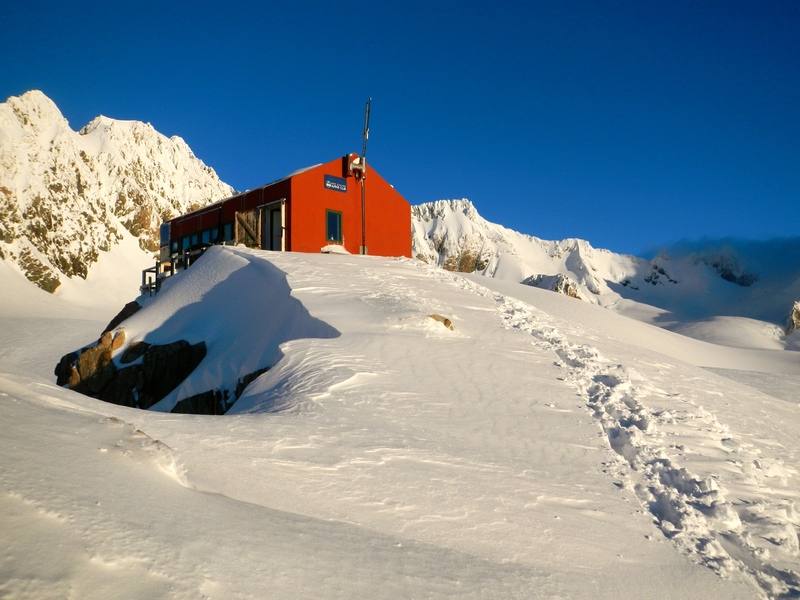 How is this one at Pioneer Hut high up on Fox Glacier, New Zealand’s Southern Alps. Almost an expedition to get to the little Red House from the hut and the drop off is quite dramatic, but hey, you’ve got to love the view! 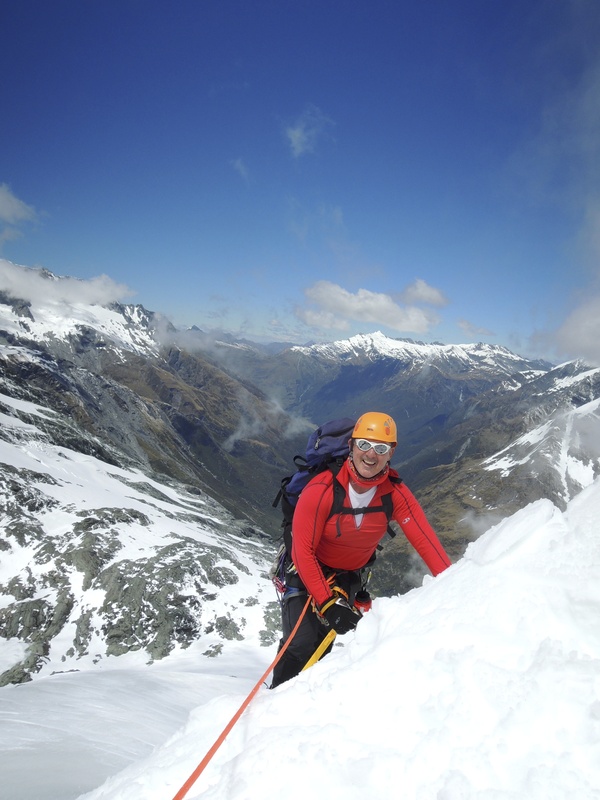 After a reasonably steep multi-pitch climb I crossed this snow covered Arête on the way to the summit of Auroa Peak in New Zealand’s Southern Alps. 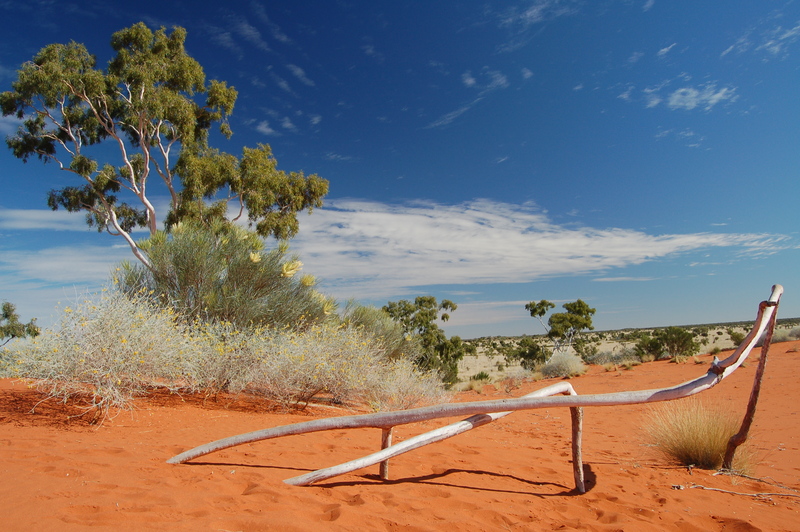 What a great playground, hey?